Regardless of why you want to buy a home in Tallahassee, you should consider Tallahassee home cost as part of your decision making process to ensure that you buy wisely. We get a lot of questions from buyers about determining Tallahassee home cost and property values, so I want to share a comment from a long-time reader who reminds us about the importance of real estate cost in the long term real estate cycle. Joe, Well...another year has come and gone - about this time last year when I read your article the market was bottoming big time (at least in my little neck of the woods). There was no way of knowing it then but she did. What a totally different climate it is to invest here in the spring of 2013!? Inventory is null. Buyers are lined up and so aggressive. I now have 71 single family rentals. Am having to pay a little more and work a TON harder to find the deals. I read articles and investment analysis from countless professionals daily on the Internet. I still come back to this article you wrote on June 4 of 2010. It is spot on in my opinion and no one else states it so clearly. It sure helped me understand the costs of a real estate investment. It sure helped me build up the courage to chase and create this monster. Now who knows really where the story ends and how this all plays out with our crazy economy and faltering local and federal governments. Thankful for the opportunity to be able to invest though and feel somewhat secure in my position. First of all RTV, thank you for the compliment and feedback. And below I have copied your questions for us to ponder about Tallahassee home cost and current real estate market conditions. RTV's three questions are smart questions, because the answers to these determine the changes that we will see in Tallahassee home cost for the next few years. Unlike in 2010 when the supply and demand dynamic was crystal clear to me and we were struggling with a glut of homes, there are some variables in the market these days that do not allow for such a clairvoyant real estate market forecast. What are you seeing as far as trends in your market down south? - I write about these so often, I will just refer RTV to this most recent article about real estate trends in Tallahassee. To sum it up ... increased buyer activity, decreasing supply (still a buyers market overall though), and hearty foreclosure activity. Do you think inventory is going to bottom in 2013 or instead likely drag on out into 2014 until eventually bottoming? - This is the million dollar question that will bear heaviest on Tallahassee home cost. Currently our inventory is rising, but it always does at this time of year. Our year over year inventory level is falling, so we have been moving closer to market equilibrium each year. This is good! HOWEVER ...There is more than a year's worth of shadow inventory that has yet to hit the market. Some of my past analysis shows that this number is actually closer to two year's supply of homes! If this inventory were to hit the market this year, we would return to glut levels similar to what we were dealing with when I wrote the 2010 article on Tallahassee home cost and real estate investment. So if I have to "call it" now, we won't see inventory bottom out in Tallahassee in either 2013 or 2014. Rents have gone up nearly 20% in my area since I started buying - do you have the same kind of thing down there? - I wish! ... No, rents here will not rise significantly until we consume glut of excess student rental properties. Some niche and newer properties are pulling in higher rents, but these do not transfer across all properties. Rising rents is a result of declining supply, and our rental properties are nowhere near that level. 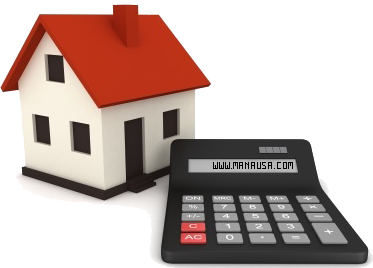 Remember, if you want the most accurate assessment on property values and Tallahassee home cost, just drop me a note and we can schedule a time to determine exactly where you stand and you next best move in the Tallahassee real estate market.